The well-designed Motorola MK500 is non-intrusive and does not require precious sales floor real estate - the highly compact device fits almost anywhere in your environment, from aisle end-caps to shelves, poles and walls and is compliant with VESA mounting standards. 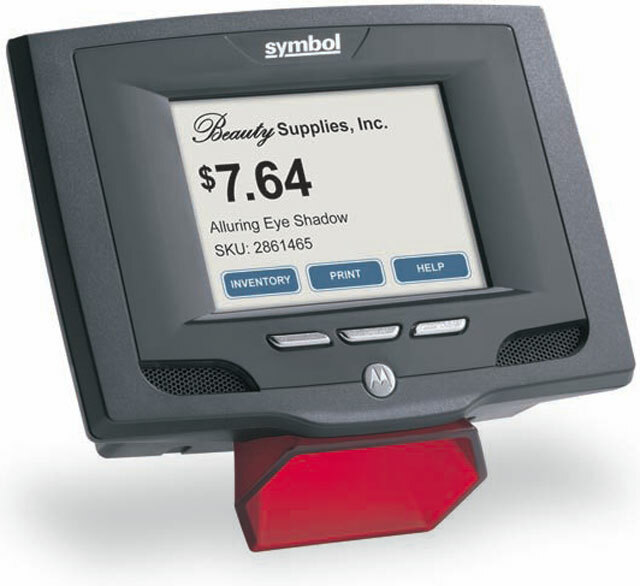 Also, unique mechanical features are built into the frame, allowing retailers to easily mount custom signage around the MK500 to promote the presence and usage of the device. The flexible self-service kiosk can be deployed easily and cost effectively over the wired or wireless LAN. Wi-Fi 802.11a/b/g connectivity eliminates the time and cost required to run network cabling to each MK500, and allows retailers to move the MK500s as needed to better meet customer or seasonal needs. 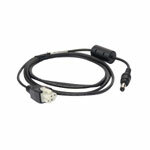 Power-over-Ethernet eliminates the cost of installing power outlets for each MK500. Power DC power: 24v, PoE: Power-over-Ethernet 802.3af? Application development tools The MK500 ships with Symbol Pocket Browser. For a reference implementation with sample source code, see the Web Kiosk Software Suite. For C/C++ developers, the MK500 provides support for application development using Microsoft?s eMbedded Visual C++ 4.0 SP3.For C# / VisualBasic.NET developers, the MK500 provides support for application development using Microsoft?s Visual Studio. Symbol SDK components required to support the development environments listed above are available from Motorola?s Support Central Web site.